Here is another reputable gun safe manufacturer that has been in the business since the early 80’s. It was established by a man named George L. Vicente, and he started his safe career when he was only 16 years old. He began working for a locksmith, but later he launched Mesa Safe Company. He wanted Mesa Safe to become the industry leading company in safes and focused on delivering heavy-duty construction and cutting edge locking mechanism. Today, Mesa is known as a pioneer in the gun safe business, and they are committed to manufacturing only prime quality safes that fit any budget. 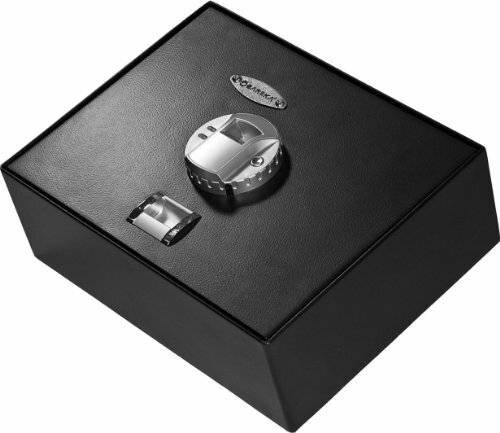 Their production line includes a wide variety of safes to suit any demands. Mesa is not just focused on providing high-security gun safes, but also solutions that include depository, pharmaceutical, and fire protection safes to name a few. 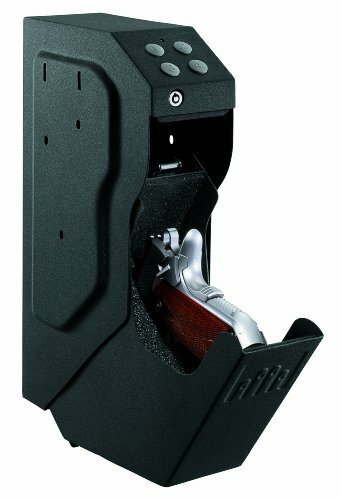 However, their top rated gun safes are what we will discuss here. You have two options if choose to go for Mesa; you can pick the MBF series or the MGL series. The MBF series is their best-selling model, and it offers excellent overall protection. The MGL series are an excellent pick for those who are looking for a more affordable security solution. The MGL comes in three different sizes and two interior design possibilities. Below you can read more about the best Mesa Company gun safes on the market. Our first item in the Mesa Safe countdown is the awesome MBF5922E gun safe that not only protects your valuables and documents but also your firearms as well. This unit offers protection that goes way beyond intruders trying to pry-open the safe because it is also built to protect your belongings from fire. In other words, it is designed to withstand 1750°F fire exposure up to the one hour mark. To offer maximum security, the Mesa team delivers twelve 1½” solid steel locking and dead bolts construction. On top of that, there is a 4 point locking system along with a drill resistant plate that makes it close to impossible to tamper with. Even if an intruder can remove the lock, the spring loaded re-locking mechanism kicks in. This safe comes out of the box, pre-drilled with four anchor holes. That way, you can use the anchor kit to bolt the safe to the concrete floor for enhanced security. This is a large gun safe that can store up to 14 long rifles. You can customize the safe according to your needs by adjusting the shelves to keep everything in order. The interior is completely rugged, and the shelves are upholstered to ensure that your belongings won’t scratch. Overall, here we have a durable and stylish heavy-duty gun safe with black scratch-free finish. Built from premium 1½” thick steel that provides optimum protection. It comes with a power cord for a power strip, along with a 9-volt battery, 3 brass handles for bolt-work, and a physical key for backup access. Mesa is confident that you will like the MBF5922E gun safe and they offer a lifetime limited warranty. Next up is another quality unit from the Mesa stable called the MBF3820E and this gun safe is packed with plenty of security features. It is a quality constructed gun safe that consists of high-end thick steel to ensure durability and reliability. Also, there is a drill-resistant 1 ¾” thick steel plate to protect the locking mechanism. Additionally, it comes with an electronic locking system, dead bolts, commercial grade hinges to ensure your belongings are safely protected. This unit will withstand fire for 2 hours, and this is one of the highest fire-rating on the market. Mesa was able to construct a trendy gun safe, with a unique design and superior fire proofing. The interior is fully rugged and features plenty of space to store all your weapons and valuable items. Moreover, to ensure that you can customize the space according to your preferences, there are two sturdy removable shelves included. Also, there are three electrical sockets, along with 2 USB ports, plus a power source cord for added convenience. Overall, gun owners are very happy with this gun safe and its competitive price. 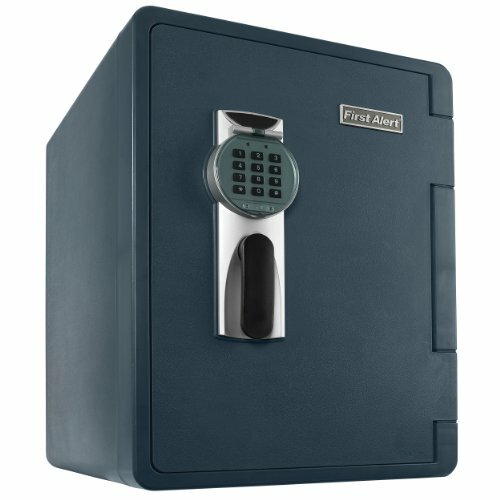 The safe is very heavy, and features teach steel construction. Consumers like the fact that Mesa went the extra mile in order to make this unit one of the best fire-proofed items on the market. The interior provides a lot of space, and you can rest assured that everything you lock inside will be protected. On top of that, your purchase is protected by a one-year limited warranty on all parts and labor. 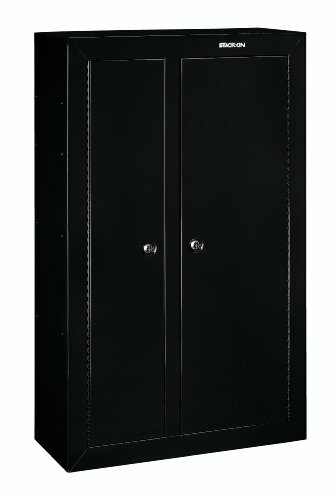 Here is a high-end gun safe that consists of superior steel constructed door that measures 1.5-Inch thick. Additionally, there are four 1 inch locking bolts to anchor the safe down to the concrete floor. Also, there are three heavy-duty steel dead hinges to ensure that nobody can remove the door. The overall housing features 1.5-Inch thick, top class, fire resistant steel construction. This safe is guaranteed to withstand fire for 1 hour up to 1750 degrees Fahrenheit. The MBF6032E offers plenty of space, and you can store up to 24 long guns inside. It has two large pockets and 20 elastic slots. Moreover, this safe includes removable shelves that allow you to customize the space according to your needs. In total, this safe offers 13 cubic feet of storage, and the interior is completely carpeted with gray fabric to protect your items from damages. This unit features an electrical lock and is battery powered. However, if you run out of batteries, you can always use the physical key to access your stuff. All in all, here is a fantastic safe for those who are looking for a way to store their long guns in a safe way. It features all the safety features that you need, in order to protect your valuable things. The locking mechanism is a heavy-duty innovation that features a drill and punch resistant steel. On top of that, Mesa offers limited lifetime warranty on this product. Here is the outstanding MBF7236e gun safe that was built to hold up to 42 rifles. Now, if you are looking for a budget friendly solution to store your guns, then I suggest that you look somewhere else. However, if you are a serious gun collector, then this is your number one pick. 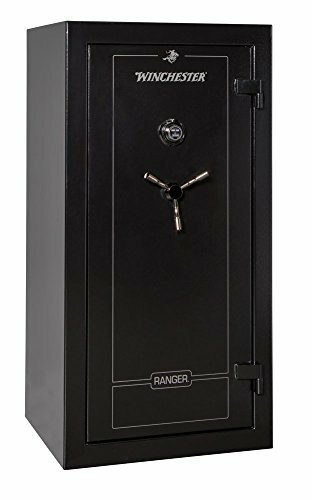 This safe is huge and offers 21.1 cubic feet of interior space. Also, there are six half-size shelves and two full sized shelves that enable you to organize your items to satisfy your needs. To access the safe, there is a sophisticated electronic keypad lock that you can program to store two unique codes, up to 8 digits. There is also an additional security feature that takes over if somebody repeatedly enters the wrong code. In that case, the safe will enter sleep mode for 15 minutes. On top of that, there is a drill and punch-resistant plate to prevent anyone from removing or tamper with the lock. This safe weighs a whopping 882 pounds, so there is no way that anyone can just walk out of your house with this safe. To improve the protection even more, you can bolt this heavy-weight champion to the floor to ensure that no-one can move the safe from its position. Here we have the largest and priciest gun safe from the MBF series. However, quality and protection come with a price, and this unit features all the glitz and glamor you need to protect your collection. Moreover, Mesa has built a safe that you can customize according to your storage needs, but without sacrificing quality or security. This is your number one pick if you seriously want to step up your game and protect your gun collection and other valuable items. Needless to say, if you invest in this unit, you will receive a lifetime limited warranty. Up next is another brilliant safety solution from Mesa and here is a multi-functional, 2 Compartments gun safe that was built with your needs in mind. This is a sturdy 100% steel construction with 1-inch solid steel bolts and ½ inch durable steel door. Also, the hinges are crafted from durable steel as well. 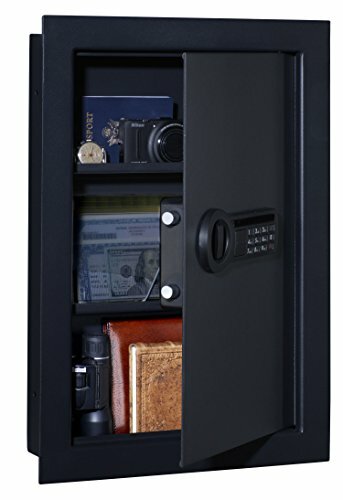 It features a mail-box deposit design, and you can access the safe in front. Moreover, to reduce the risk of theft through the door, it comes built-in with an Anti-Fish baffle. Just like every Mesa safe, this unit comes out-of-the-box with four pre-drilled anchor holes so that you can bolt it to the floor for added security. This unit also comes with an anti-drill steel plate to protect the locking mechanism from tampering. Even if the electronic keypad is removed, the safe will stay securely closed. The electronic lock comes with a sophisticated re-locking device that adds even more security against tampering. The electronic keypad is powered by batteries, but there is also a physical key included, in case you need to access your safe but you are out of batteries. You will be able to set 5 unique access code, along with one master-key access. This unit comes with a one-year limited warranty against defects from the Mesa Company. Along with a top notch ¼ inch thick pry-resistant steel door. If you want to anchor the safe down to the floor or wall, there are 2 ¾ inch sturdy locking bolts to ensure that the door remains locked. 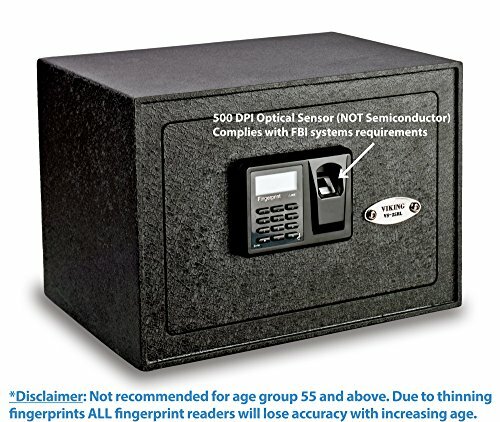 This is a battery-powered electronic lock system, and you can always access the safe with a key if the batteries dry out. Moreover, there are two strong shelves that provide your with 3 sections to store your valuable. If you are looking for a safe to store your large weapons, this safe is not for you. 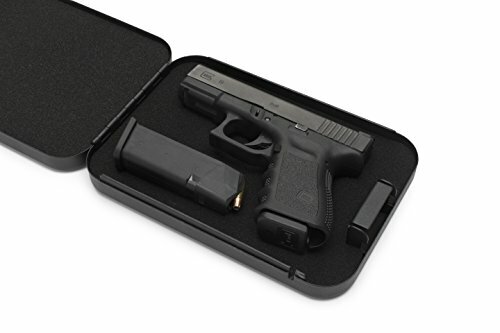 This is your solution if you need a secure way to store your pistol and other small items. There is no way that an intruder can carry this safe out of your house/office because there are four pre-drilled holes to ensure you can anchor it securely to the floor. Overall, this is fantastic if you are looking for a smaller storage solution for your home or office. This is a 100% steel construction that offers excellent protection. Moreover, Mesa offers a 1 year non-transferable warranty with this product. It goes without saying that if you are searching for a gun safe, it’s very important that you consider a unit from a well-established manufacturer like Mesa. Mesa has a wide range of different models that can fit anyone’s needs. You need to investigate capacity and expandability. What that means is that you need to find a safe that won’t end up too small for your belongings after few years. Therefore, Mesa has you covered, and they have many gun safes that can store your current gun selection and is spacious enough if you decide to expand your gun collection. A Mesa safe is not just a Mesa safe because you’ll be able to select from different Mesa models. Each model is designed to complement different needs of the user. Mesa has all kinds of gun safes to complement any demands. You can opt-for a depository safe that allows you to simply deposit cash, checks or other valuables through a “mailbox” door. Every depository Mesa safe is built for quick access and maximum protection. 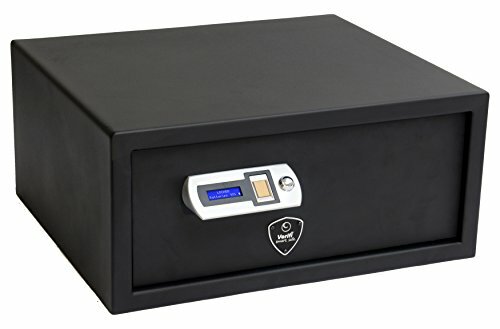 The depository safes are not for everyone, but it does offer a quick method to store everything that you need to protect in seconds. Like mentioned above, this is ideal as a money safe, as you won’t have to open it up every time you deposit. On the other hand, you can also store your handguns and keep them protected by accessing the safe through the electronic lock in front. 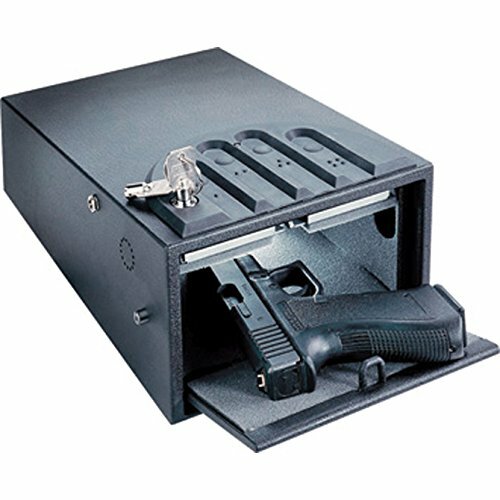 All Mesa’s safes can be used as a gun safe although some are not designed with the firearm consumer in mind. However, they are all suitable for weapon storage, and they all provide excellent protection for everything that you need to store inside a because every unit features all steel construction and first class housing. All Mesa models are heavy duty and fire resistant safes that you can count on to protect your most valuable things. If you, for any reason, think that Mesa cannot fulfill your gun safe needs, then Mesa wants to hear from you. In other words, you can team up with them and have them built a safe that is customized to your needs. You can submit your security requirements, and state all the features and the style, and Mesa will construct a gun safe that is tailored to your requirements. Security and protection is Mesa’s primary focus. Therefore, all Mesa’s safes are constructed from thick steel and come with several locking bolts to boost the security. 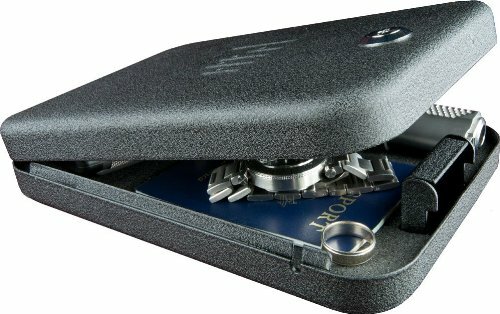 Moreover, all their safes come with re-locking mechanism and hard plates. Fire protection is something that Mesa really cares about, and you can rest assured that all their safes go through extensive testing against fire and flood to maximize security. Although Mesa is a small company, they are one of the biggest in the larger model gun safes. The best thing about Mesa Company is that they offer brilliant security solutions for both business owners and homeowners. 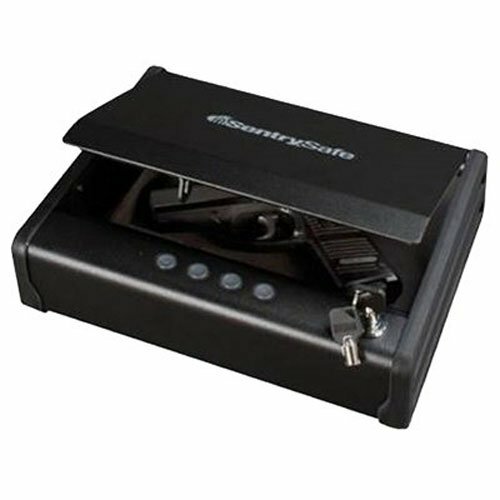 Most of their safes come with a sophisticated electronic locking mechanism for easy and quick access. Even though their main strength lies in the electronic locking keypad, they do offer combination solutions as well. Warranty is also something that Mesa takes seriously, and you should always invest in a safe that offers a warranty. That way, you can have an idea of the quality of the safe and how confident the manufacturer is about the product. The warranty can range depending on what safe you end up buying and usually ranges from 1-2 years up to a lifetime. There are not many manufacturers that are willing to offer lengthy warranties but most of Mesa’s items are guaranteed to be free from defects for life. Have in mind that you can not transfer the warranty to a third party. Therefore, your should never buy a used gun safe as the warranty will be voided. If you purchase a safe, and your item suffers any damages because of fire, water or theft, Mesa will replace or repair your gun safe free of charge. It goes without saying that having the ability to customize your storage space is a fantastic benefit. You can organize your weapons and other valuables in a way that guarantees immediate access to what you need. Additionally, all the interior is beautifully carpeted, along with shelves and door panel. Moreover, Mesa provides you with the flexibility of organizing your racking to match anyone´s demand. The bottom line here is that Mesa Safe Company is going to provide you with top-rated quality and first class protection for every need, regardless of budget. They have been in the market for quite some time, and their products are getting more and more popular every day. They are not the biggest brand in the business, but you can always count on a quality gun safe from Mesa. All the safes from Mesa are reasonably priced, and it is very hard to find a similarly priced product that includes all the great security features that Mesa has. The highly popular MBF series are the most popular models in the Mesa Safe line. They offer high-level security for a very reasonable price. 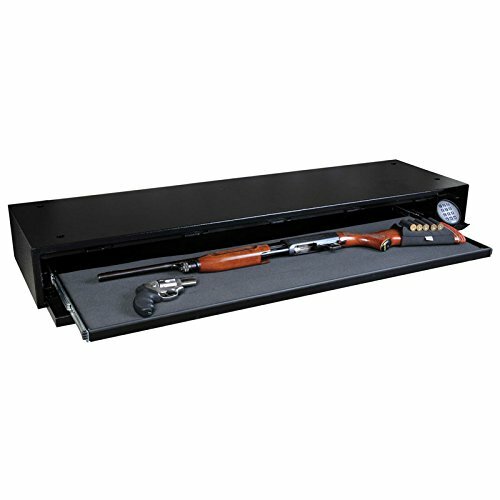 They include all the great elements that you need in a gun safe and come with a fantastic warranty. Therefore, once you find your pick, you should always go for the highest-rated, most popular gun safe to ensure that you end up with a gun safe that is going to last you for many years to come and won’t outgrow your gun collection.